Welcome to Wine Quiz number 19. Please choose from the list of possible answers to each question and your score will be displayed automatically at the end. Good luck! 1: ‘Orange wine’ refers to what? ‘Orange wine’ normally refers to the hazy, deep yellow/orange colour of white natural wines with long skin contact. 2: The town of Valdobbiadene might appear on labels of what popular wine? 3: Who is or was James Busby, and what is his connection to wine? Busby is largely responsible for the development of the Australian wine industry, having traveled to Europe and returned to plant vineyards in the early 19th century. 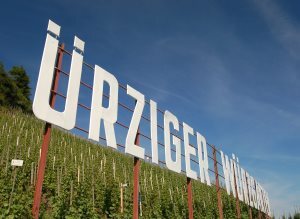 4: Which of these can boast the most elevated vineyards in Europe? Whilst several European regions claim the highest vineyards, Tenerife appears to be the conclusive winner as other contenders including Italy, Cyprus and Switzerland only reach 1400m at most. Argentina has vineyards at over 3,000 metres. 5: Who owns the Champagne brand Armand de Brignac? The rapper Jay Z has owned the brand and its iconic ‘Ace of Spades’ Champagne outright since 2014. These appellations span over 200km north to south. 7: Which famous sweet wine is reputed to have been a favourite of Napoleon Bonaparte? 8: Who is this flamboyant wine figure? 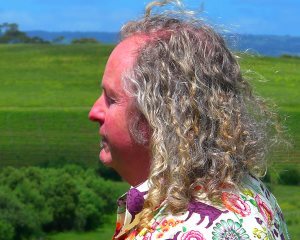 Chester Osborne is one of the most colourful characters on the winemaking scene, along with his dad d’Arry Osborne they run the d’Arenberg estate in Australia. 9: In terms of numbers of bottles sold, in 2015 by how much did Prosecco outsell Champagne in the UK? In 2015 Prosecco sold 37.3m bottles in the UK, as opposed to 9.8m bottles of Champagne. 10: Is it legal in the EU to make still rosé wine by blending red and white wines? Pink table wine carrying the IGP or PDO classification can be made by blending red and white wines together, contrary to a common belief that only Champagne is allowed to do this. In practice, there are extremely few rosés made this way. 11: Sicily’s Zibibbo variety, is better known as what? Zibibbo is indeed the same grape as Muscat of Alexandria. 12: The Dundee Hills is a wine growing region where? 13: Christopher Merret was the first person to document which winemaking process? English doctor Christopher Merret preceded Dom Perignon by a number of years, in documenting the method for producing Champagne and similar sparkling wines. 15: The label of which famous wine is this? 16: I’m drinking blend of Petit Meslier, Arbanne and Fromenteau. Where does it come from? Though Chardonnay, Pinot Noir and Pinot Meunier are by far the most important varieties in Champagne, these very minor grapes are grown and may be used in the blend too. 18: Which of these wine regions has never suffered from Phylloxera? Colares, close to Lisbon, has soils of almost pure sand in which the Phylloxera louse cannot survive. Port will typically have around 20% alcohol by volume while Moscato d’Asti will have 6% alcohol by volume.